For 2019, the Kia Forte is all new. Currently in its third generation, the Forte has styling inspired by the athletic Kia Stinger. This sedan is striking in exterior appearance and cozy in the interior. The Kia Forte is also technologically innovative, offering an 8-inch touch screen, dual zone climate control, Apple CarPlay, and Android Auto. Enjoy syncing your smartphone to your Forte to stream music, send hands-free text messages, access navigation, and so much more. The 2019 Kia Forte also features modern safety technology that provides peace of mind for drivers or parents of teen drivers. The Forte features lane departure warning, forward collision warning, driver attention warning, lane keep assist, and forward collision avoidance. For additional peace of mind, the 2019 Forte is available with rear cross traffic collision warning, blind spot collision warning, and smart cruise control. 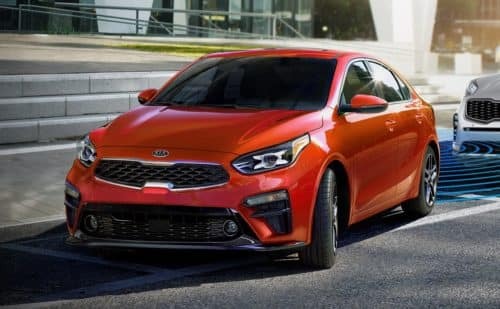 The standard 2019 Kia Forte is powered by a 2.0-liter four-cylinder engine, which achieves 147 horsepower and 132-pound-feet of torque. Sporty and capable, this engine is also fuel efficient. The engine is paired with a six-speed manual transmission, or you could opt for the new continuously variable automatic transmission. If you want to see the 2019 Kia Forte for yourself, come see us at Sunshine Kia! At Sunshine Kia of Miami, you can test drive the Forte to see what it’s all about. Our new and pre-owned Kia dealership is a stellar spot to find the perfect vehicle for your needs. 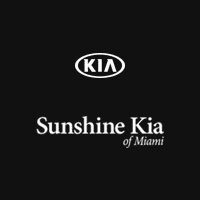 Sunshine Kia is located at 17120 S Dixie Highway in Miami.